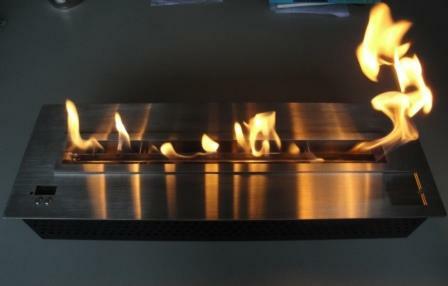 The square ethanol burner is a brand new product. 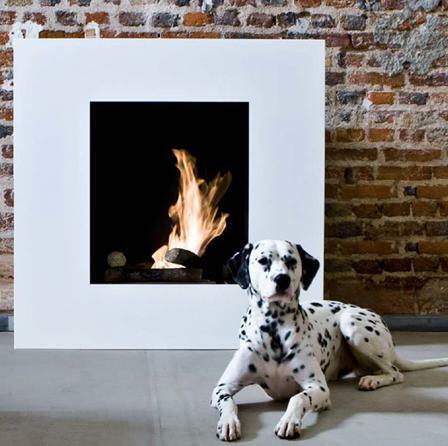 This square insert has a new shape which allows different designs for fire-spaces The square shape allows infinite realizations. 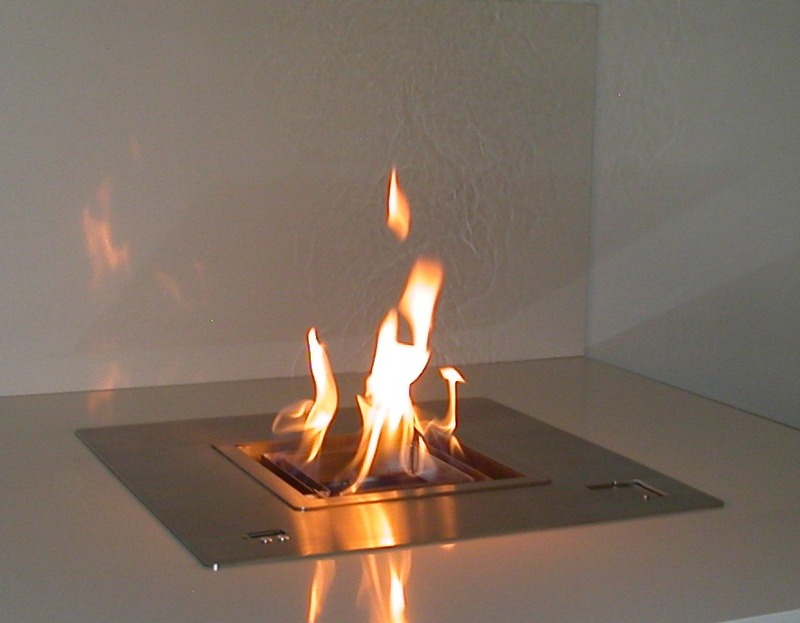 It is possible to embed these bioethanol burners as well on the ground as in built spaces, in an insert in the wall, in furniture designs, etc. 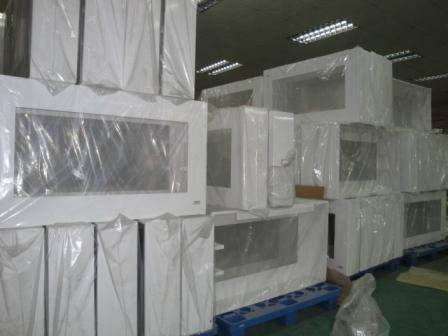 The technological advance of A-FIRE allowed these shapes and these realizations. 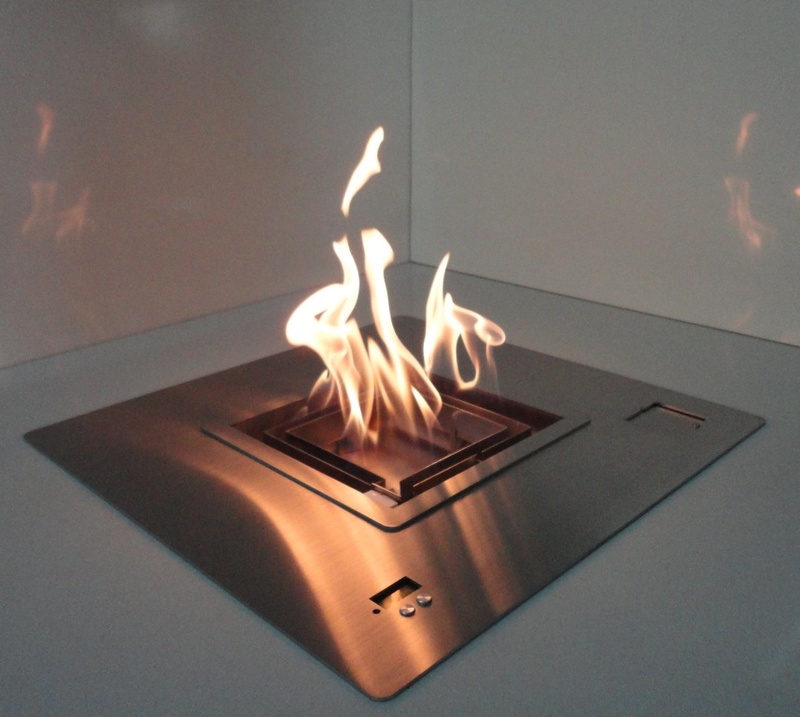 We can now think of innovative spaces-fire with a modularity of conceptions. 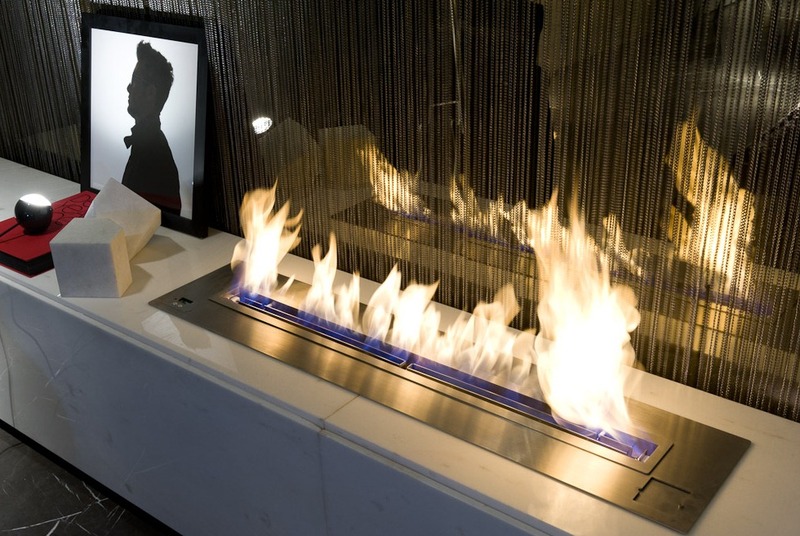 The pure simplicity of this fire-cube with dancing flames can surprise the designers and the creators. The fire had never taken such a shape: very sophisticated but also very pure. 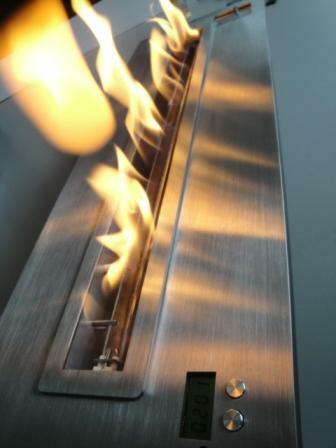 The insert created mirrored flames which are reflected in the patches of stainless steel. 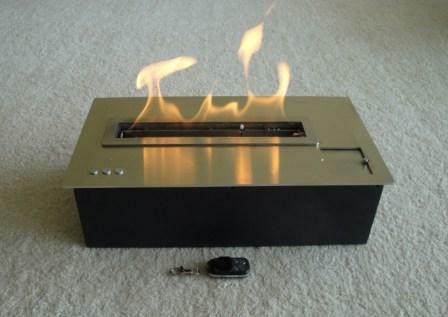 A-FIRE invents a brand new idea of the Fire. Endowed with a lot of technical equipments as: remote control, security sensors, electronic levels and gauges, these new hearths are comfortable in use and secure. 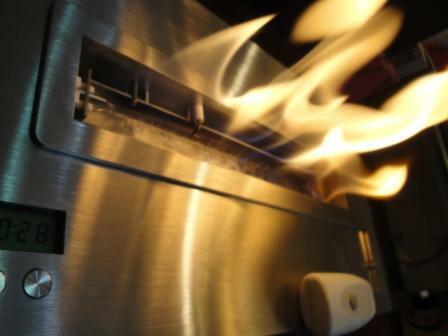 The fire can be embedded everywhere if you pay attention on certain recommendations (please read carefully the user guide for installation). The fire is surprising and it is now going to have new shapes. 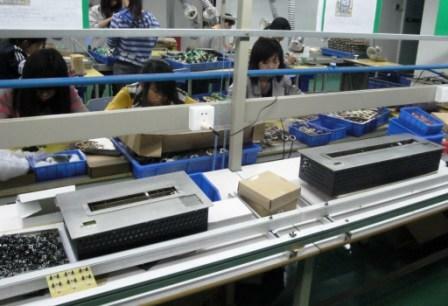 The new technologies allow its perfect control but also significant progresses have been made in its implementation and its daily use. 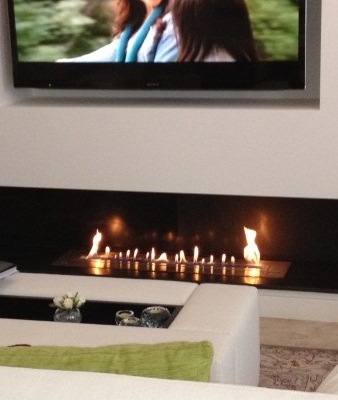 Is an alcohol insert is going to replace a wooden fire? 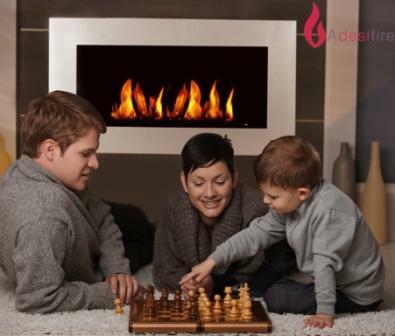 No, of course, but for those who cannot allow to settle a flue, for those who don’t want any constraint, these new ethanol fireplaces are good opportunities and a real progress friendlyness use of the fire.